Developing inspired communications, cultures and careers. I’m Hal Calbom – award-winning media producer, educator, publisher, and creative consultant. If it hasn’t already, the idea of “sustainability” will soon become essential to your business acumen and success: shaping your communications, defining your culture, and nurturing committed workplace relationships. True 21st Century business sustainability reconciles people, planet, and profit, and I can help you get there. Utilizing the broad purview I’ve developed collaborating with business across varied industries, I help you discover and leverage existing competencies and opportunities that otherwise go undetected. I mine for information, analyze markets, and help you benchmark against industry standards and contemporary thought leaders. Shape and amplify your narrative. In a world awash in noise and information, impactful storytelling has never been more critical. I work with you to shape your own stories more effectively and magnify their impact through multiple media. My approach is collegial, empathetic, and reality-based, helping you develop and implement your own sustainable solutions. Develop programs for powerful influence. Welcome to the Relationship Age. The currency of contemporary business is trust, credibility and applicability – and that requires connecting real people with a story about you and your business that is accessible and reliable. Working with my team I will help you develop internal and external programs that reinforce clear and consistent application of your narratives inside and outside your organization. I am an award-winning media producer and creator of innovative and transformational learning programs. My consulting services help businesses develop 21st Century skill sets, practical sustainability competencies and powerful marketing communications. 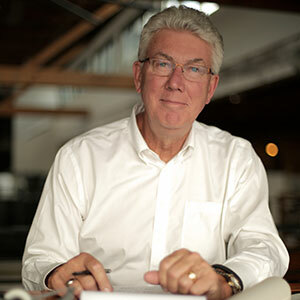 As a producer, I’ve chronicled the evolution of clean technology and sustainable businesses. As an educator and publisher, I’ve helped develop flexible, adaptable skills for individuals and organizations. As a journalist, I’ve gone personal and in-depth with leaders and organizations across the world, developing a broad understanding of business sustainability across myriad geographies and industries. My passion for gathering and synthesizing ideas, combined with a congenial and collaborative approach, empower me as your partner to develop transformative communications programs and strategies within any organization.